Scott Wyden Kivowitz of www.scottwyden.com and www.imagely.com is a US-based blogger, photographer and an educator. He's the author of a bunch of photography book and the Chief Community Officer at Imagely – a company that makes WordPress themes, plugins and does hosting for photographers. He says… for years, photographers have been using outdated marketing strategies and there is a better way. In this interview, Scott shares how photographers looking to build successful businesses should be attracting leads in today's super competitive market. We go deep into Scott's strategies, the minimum you need to do to have this system work for you (not a real lot) and how you can use these ideas, no matter the stage you're at with your photography business. This isn't rocket science but it's a whole new way to look at and do lead generation for photographers. Why is print lab integration a huge benefit for photographers? What are the outdated marketing practices photographers are still inclined to use? What is a one-off lead magnet and how does it work? What are inbound and outbound marketing and their differences? Does Scott’s system work for all types of photographers? Why does Scott recommend Sticky Email for photographers? Is there a ‘right number' for your conversion rate? Following this interview, I’d love to know if you're taking anything away from what Scott shared. Is there something you heard that excited or motivated you to the point where you thought, yeah, I'm going to do that! If so, let me know by leaving your thoughts in the comments below, let me know what your takeaways were, what you plan to implement in your business as a result of what you heard in today's episode. If you have any questions that I missed, a specific question you’d like to ask Scott or if you just want to say thanks for coming on the show, feel free to add them in the comments area below. I have been listening to Andrew's PhotoBizX podcast for some time now, but this is yet again another great series of interviews. I love the relaxed, conversational style Andrew effortlessly utilises with his guests, that allows them time to discuss their thoughts at length, providing listeners with a true insight to their inspiration and thought process. PhotoBizX promises plenty of insights into the business strategies of working photographers and it doesn’t fail to deliver. I have been to a number of in-person workshops and conferences, etc and left with only a fraction of the implementable takeaways that Andrew extracts from his interviewees. I love learning in podcast format but you’ll need to keep a notebook handy for all your new To Do List items! Well Andrew, I've been a premium member for a couple years now (I think) & the one thing keeping me listening & REALLY enjoying your podcast is your ability to bring motivating, practical & highly useful information from your interviews with your guests. Every time I get overwhelmed or in a funk in my photo business, I know my cure is a healthy dose of PhotoBizX to get me motivated again & pump me full of great inspirational ideas. THANK YOU to you Andrew & to all your guests who are willing to share such AWESOME information & encourage us all along our journeys of becoming better, efficient professional photographers! A fabulous podcast packed with invaluable advice – it's transformed my photography business! Brilliant tips from a variety of photography professionals, interviewed in Andrew's relaxed style. Really enjoyable to listen to! This is a great podcast and I am loving all the ideas that go around. Hi Andrew I wanted to give you an update on my world. I started listening to your show around episode 30. I had just started my photography business. From you and from your kind guests, I have learnt so much about who I am; what I want to stand by and how I'd like to grow. I listened all the time. You could have done five shows per week and I would have heard them all. My wife still recognises your voice. Two years ago, I changed my career path a ton. I asked my boss to let me drop half of my duties at my real job, a Pop music radio station. They supported me. Since then the two jobs have each represented 50% of both my time and income. Fast forward to this past holiday season I couldn't fight my dreams anymore. I took the leap. My radio company accepted my resignation. I stayed on for six more months. It was a very nice transition to the radio station's new host. Last Friday was my final show. I'm writing this on Monday morning. I got a couple more hours of sleep. Then I leisurely straightened up dishes, took out the trash, chose an album to listen to and made a cup of coffee. After I finish typing this, I'm settling in to edit 20 photos that a client ordered last night. My kids are 20 feet away in their pajamas. I know this isn't going to be easy, but I am ready to hustle. My work looks good and I have a solid direction for the Photo Biz thanks in large part to your fantastic podcast. You are making a huge difference for photographers on Planet Earth. Thank you. The PhotoBizX premium membership is easily the best thing I've done for our business in over a decade. If you've listened to the free podcast and wondered what's on “the other side” and what you get for a paid membership, trial it and you won't look back. For what we get in the premium versions of the interviews and in the super-supportive members Facebook group, the membership should cost a lot more (shh … don't tell Andrew!). Are you implementing what you hear? Nothing makes me happier than to hear feedback from listeners who are putting into action, the ideas they're hearing in the interviews. Every time I hear something I like, I send myself the episode with a quote note as to what I liked about it and email it to myself. I have a folder named ideas where they all live. When I have downtime in the winter I go through that folder and find an idea to do. – I purchased the film course with Courtney which is amazing and I’ve been trying to practice as much as I can having access to the Facebook group and all the material on her website was great. At some point when I’m comfortable and a little bit more skilled I’d really like to incorporate film into my business as part of the services that I offer. 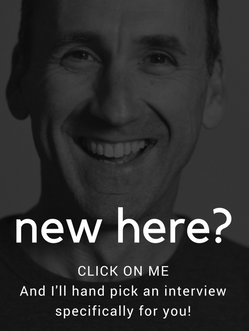 – I’ve updated and changed my headshot for everything so it is the same…(social media, website) and I’ve also included an image at the bottom of every blog post with the link. – Going with blog posts, I found it very time consuming and dizzying trying to keep up with everything All the time. There are so many social media outlets, I just felt like I “had” to do everything and I couldn’t. So I’ve been wanting to streamline my posting like some other guests have done. I also took Sue Bryce's words to heart about making sure everything should be in our website first, social media platforms change so much and all that information could disappear at any moment. So now instead of “posting” just because, I feel like I have to I post with purpose. – I joined LinkedIn, read the book Jeff made and that’s it, it was easy. I’ve added LinkedIn to my Social Media platforms. Being part of LinkedIn keeps me professional in what I write or post. I find people don’t have a filter on Facebook and it can get pretty nasty and reflect poorly on their businesses. – I’ve created a YouTube account and did a little video about why I volunteer . It was easy to set up and the video was easy to edit. – I’m sure I have more little things that I’ve done over the years, I just can’t think of them right now. I think the main thing is that your podcast has been the main source of information, the way you do your interviews, the questions you ask, all of it works!!! Thank you. It shows how much you love doing it and all the effort put towards your website and the Facebook group is amazing. All great resources. You have shown me and I’m sure others, that we are not alone in our struggles and we can all work together in this industry …. If you've put the FB Ad strategy into action, you'll know the most time challenging, difficult part of the process is making the calls to sort the good leads from the bad. Previous guest and messenger automation expert, Iain Sim solved this problem for himself and has released a course to help you create your own messenger automation sequences. These have to be seen to be believed – they are that good! What I LOVE about the course is you not only learn how to create your own sequences from scratch in easy to understand chunks, Iain has created DONE FOR YOU sequences you can simply copy and paste for your use. These done for you sequences include everything you need for wedding and portrait photography promotions plus a personalised one I created with Iain for my use. If you're utilising FB Ads, this is a must have. The course is delivered by Iain in six easy-to-follow videos along with step-by-step instructions so that you can follow along. You’ll have 12 months to complete the course, but he suggests doing it over 3 weeks. NOTE: There's more in the course than just lead qualification. It's a big focus, but not the only one. Iain started with lead qualification (and LOVE messenger for that), but now uses it to build excitement before portrait sessions, manage reschedules, respond to enquiries etc, and the course shows people how to do all of that. Course members have successfully used what they learnt in the course to run other promos (eg competitions) too. The course is well worth buying just for easier/better lead qualification. On top of that, there's other awesome things you'll learn as a free bonus. Thanks again for listening and thanks to Scott for coming on and sharing so much about his thoughts on the business photography and the essentials of lead generation.